Signaling its commitment to increase container recycling, the Container Recycling Institute (CRI) has appointed Susan V. Collins as its new executive director. Collins joins CRI after 20 years of advising municipalities on municipal solid waste and recycling programs and sustainability issues. 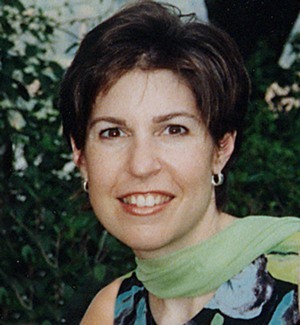 She was a manager and director at firms such as SCS Engineers, R3 Consulting Group, and HF&H Consultants. In the last year, beverage manufacturers and container suppliers alike have committed to using higher levels of recycled content in their packaging. In most cases, the recycling goals of these groups cannot be met because either the quantity or quality is not available. CRI seeks to help them by improving the systems that recover materials, and will hold companies to their recycled-content goals. CRI routinely produces research reports on various aspects of beverage container recycling, from policy and program design to optimizing collection efficiency. The nation’s recycling system faces some serious challenges. Currently, two out of every three beverage containers are trashed or littered, instead of recycled, and the total number of containers that aren’t being recycled – roughly 140 billion a year -- is higher today than ever before. Moreover, some processors complain that the increased use of convenient “single-stream” recycling has reduced the quality and usability of the recovered materials. This poor performance nationally stands in marked contrast to the record in the 11 states that have container deposits. Under these systems, scrap quality is extremely high, and recovery rates average nearly 80 percent. “Expanding the benefits for all of the stakeholders (including producers, retailers, consumers and municipalities) in beverage container recycling programs is crucial to unleashing the potential of an effective recycling system,” said Collins. Maine, California, New York, Oregon and Connecticut have all expanded their container deposits to other beverages. In Delaware this week, rather than sign a bill that would have repealed the state’s admittedly weak deposit law, Governor Jack Markell instead pledged to “mend, not end” the system. In a press release announcing his intention to veto the repeal bill, Markell promised that a new system would be based on best practices around the country and the world. One of Susan Collins’ first acts as executive director was offering CRI’s expertise to Governor Markell as Delaware begins the process of revamping its recycling program. CRI is considered an authoritative clearinghouse for container recycling information. As the Southern California Practice Director of R3 Consulting Group, Collins led an extensive international research project comparing the financial, operational and policy aspects of container deposit and packaging systems in California, Germany and the Canadian provinces of Ontario and British Columbia. Founded in 1991, CRI studies and promotes policies and programs that increase container recycling while shifting the associated costs from government and taxpayers to producers and consumers. The 501(c)(3) nonprofit organization plays a vital national role in assessing the economic, social and environmental impacts of container manufacturing, collection and disposal, and ensures that this information is shared with policymakers, regulators and the general public.